my granddad came home from the war a changed man. he was bitter, quick to anger and aggressive. he'd grown to hate animals too. should a dog yap, he'd rush to kick it. how does one discuss such a person without being exploitative? perhaps we frame him as a product of external forces, a war perhaps, in effect making him blameless. I like to remember him with the aphorism, "you can't kick every barking dog." 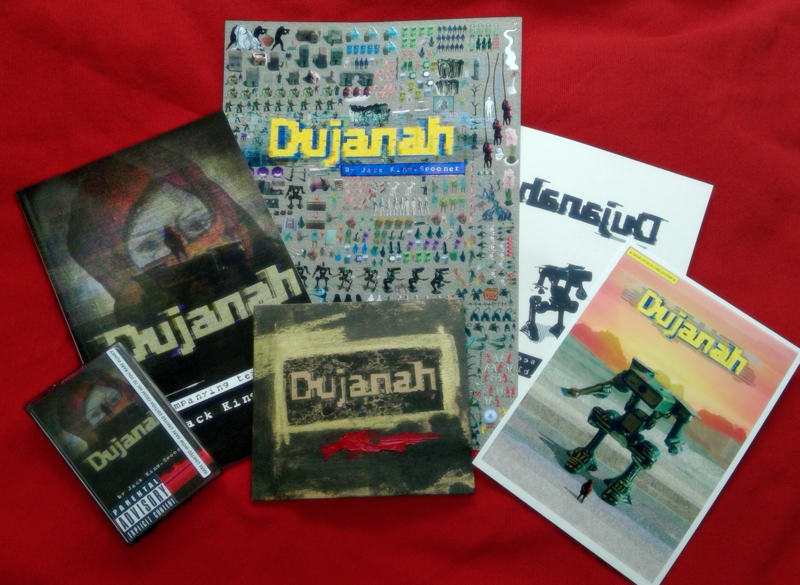 Dujanah is a clay-punk adventure game by Jack King-Spooner. Can anyone help me find the Caves of Amnahir? This is my favorite game right now. Every game by jackspinoza should be played! Is this game available for download?